SEAMAN JOB INFO - EMPIRE BULKERS LTD. 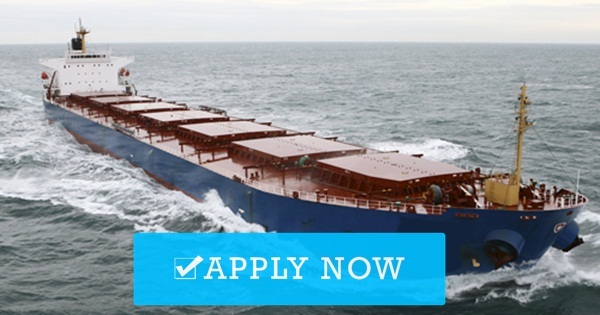 Available hiring jobs for Seafarers crew working in bulk carrier vessels rank position officer, engineer, rating. EMPIRE BULKERS Ltd. was established in March 2013 to provide commercial and technical management to Dry Cargo Vessels. Our objective is to manage modern ships which operate in the dry cargo markets. As managers of such ships, we are committed to maintain highest standards of quality based on continuously improving safety culture. Empire Bulkers is dedicated to providing excellent services to our clients and strive to accomplish it by continuous training of our crew and office personnel. 88 Vouliagmenis Avenue Elliniko, 16777 / Greece - Tel: +30 211 10 24 000 - Fax: +30 210 960 42 10. 0 Response to "Seaman Job At Empire Bulkers Ltd"